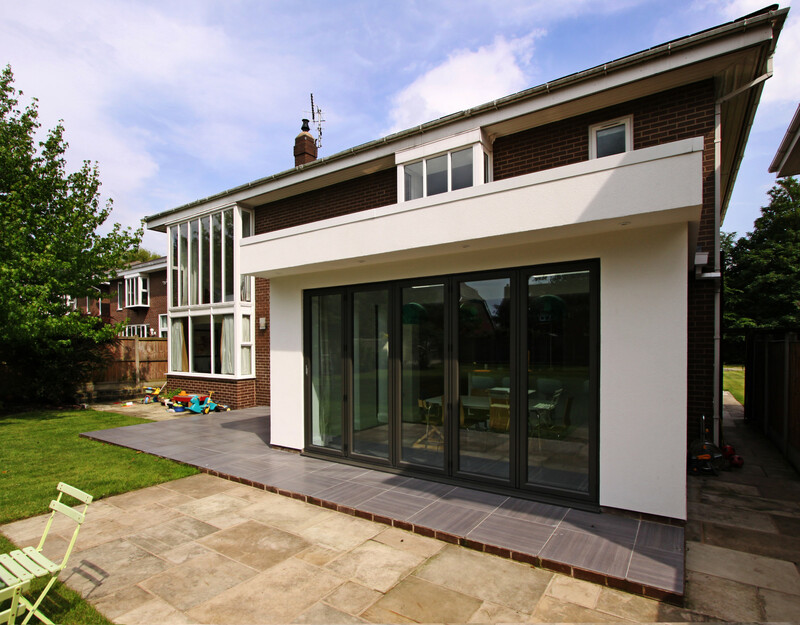 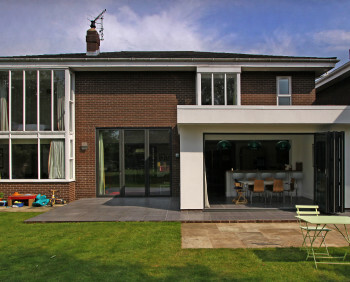 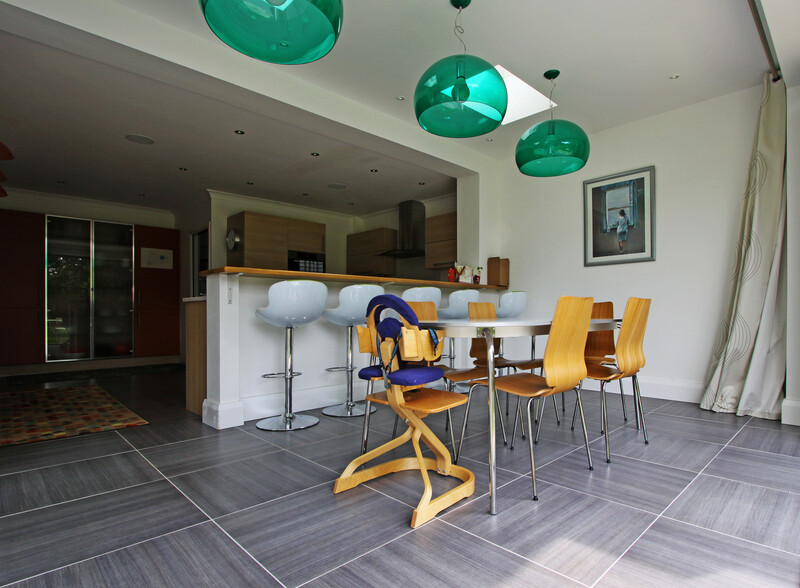 This very contemporary kitchen extension is a cool, clean addition to a home. 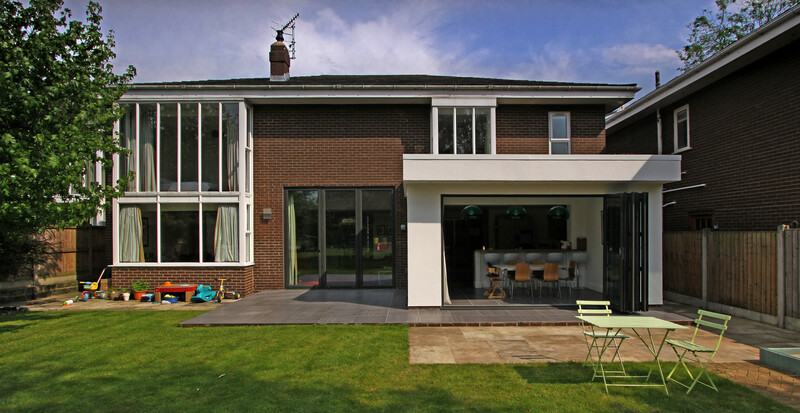 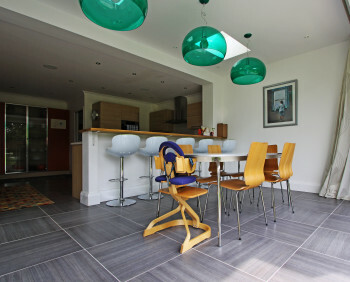 Bi-folding doors, full height windows and down lighting provide lots of illumination inside. 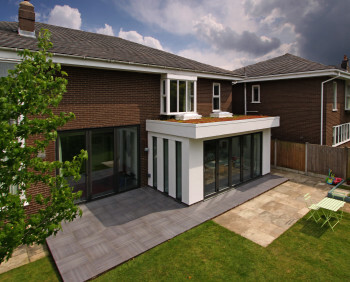 White silicone render on the outside completes the glacial look, while underfloor heating offsets the cool finish. 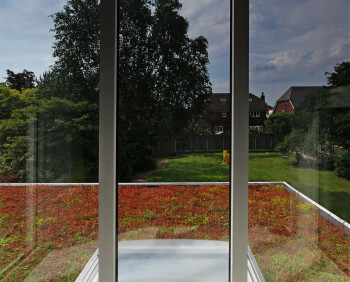 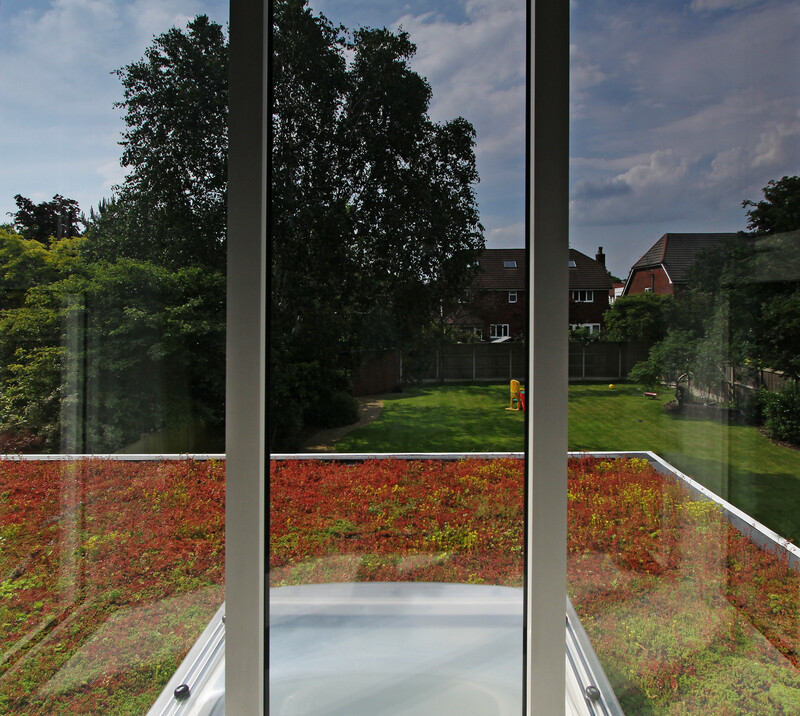 Sedum provides a splash of green on the roof. 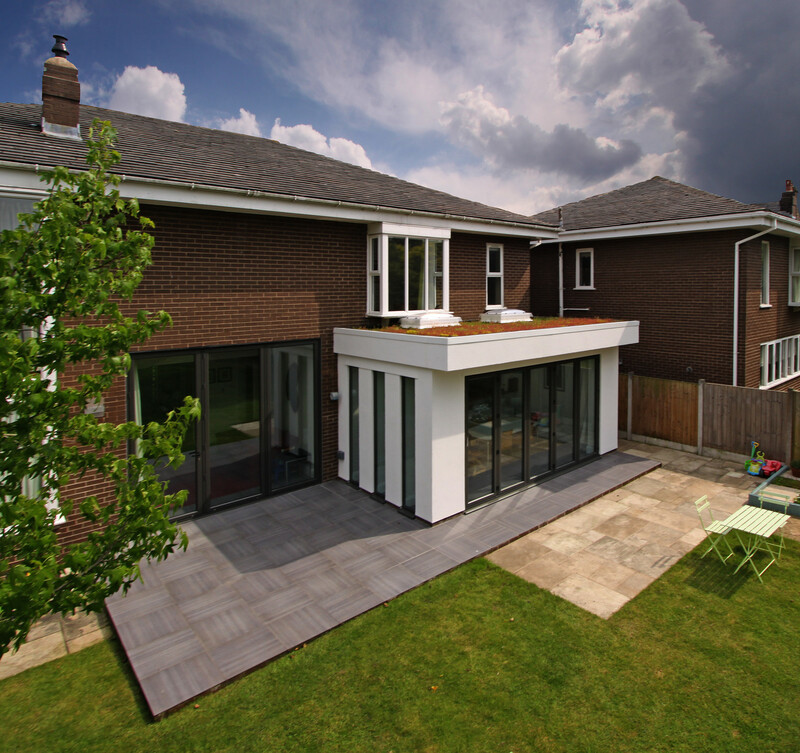 Read the client’s testimonial here.